Breakfast Foods | The Gluten Free Clan and our adventures…. There are a lot of ways that I can think of to start off the morning. 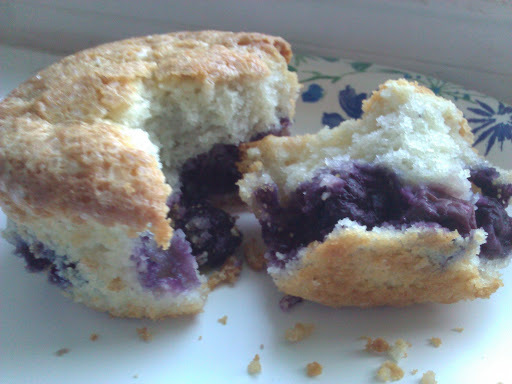 Give me a good cup of coffee and I am off to great start, add in a blueberry muffin and I am even better! Yesterday my husband told me that he had to take some desserts, snacks etc. into work with him today because they were having a Christmas party. He leaves very early in the morning and was planning on just stopping somewhere to pick something up on his way. “No don’t do that, I’ll make you something” I said. Needless to say the day got away from me and long story short, I was up baking till about midnight. Ha ha..famous last words right? But you know what? In all honesty that’s OK with me. It was all worth it because now my husbands coworkers that eat gluten free have something yummy to enjoy along with everyone else. I know what that is like when you are at a party checking out the food spread and thinking to yourself well I can eat from the fruit and vegetable platter, not that they aren’t good for you but please, I like a little more don’t you? Well needless to say this morning even gets better. I had an extra little bonus from my 7 year old daughter. 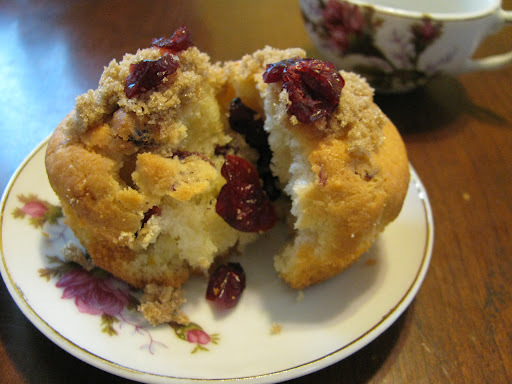 She ate two this morning 🙂 It was so sweet after her first one she came skipping through the kitchen singing a song about the muffins and how good they were and then took a second. Too sweet and you can’t get any better feed back than that! And to be honest I didn’t mind her having two, compared to some of the usual breakfast foods that she likes these were pretty nutritious. 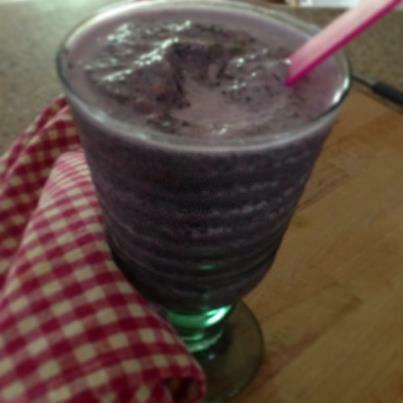 They have millet and blueberries in them, protein and antioxidants. As a mom, I’ll take that! So if your thinking about giving these goodies a try here is what you’ll need. 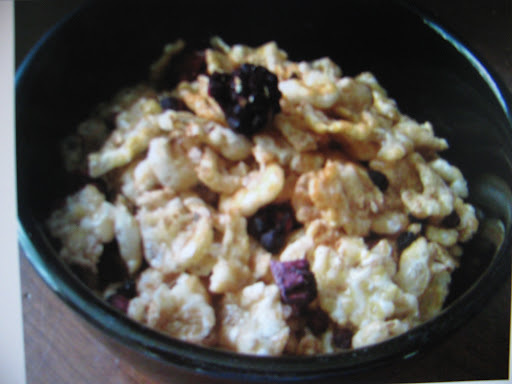 Love When Gluten Free Is Made Easy…..
Yummy New Breakfast Cereal From Kashi……. I just love when we stumble upon a new product especially when it is in a local grocery store. 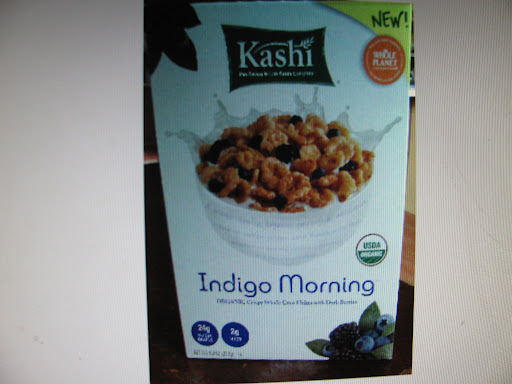 Kashi has a new cereal called Indigo Morning and it is made of grains that are gluten free. It is such a nice change from our normal chex cereals, not that they aren’t yummy as well but Kashi offers something completely different in texture and taste. 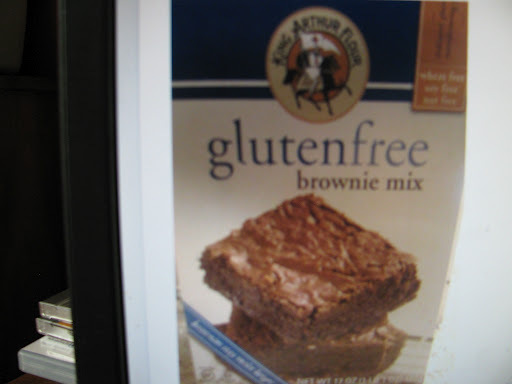 The box is not marked gluten free but a spokesperson from Kashi stated that it was. So next time your in the cereal isle check it out. 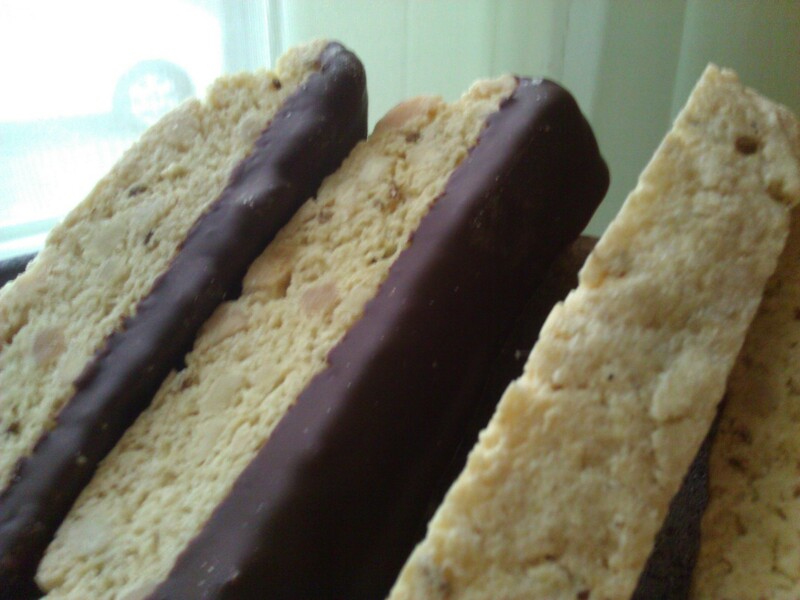 Here is another awesome gluten free product that you can find easily in your local grocery store. I found this at Weis Market. My kids love these and so do I. They are so chocolatey and moist and take no time at all to whip up! My son asked me to make him a batch to take along with him to Ocean City Maryland. He went down for a few days with some friends. I guess one last outing with friends before school starts up again. His friends were so cool they made gluten free things for him to eat as well, very thoughtful! I hope this little bit of information helps, I am always on the look out for great products that you and I can easily pick up in a local grocery store and that are time saving. After all couldn’t we all use a few extra minutes in our day to enjoy our loved ones. As always enjoy life and start by enjoying the day! Mix all wet ingredients first slowly add the dry. Batter will be thick fill cupcake wrappers 3/4 of the way. Bake at 350 F for 35 minutes I use cupcake wrappers in my muffin tins because I had a bad experience once when I didn’t I think we needed a chisel to get them out. 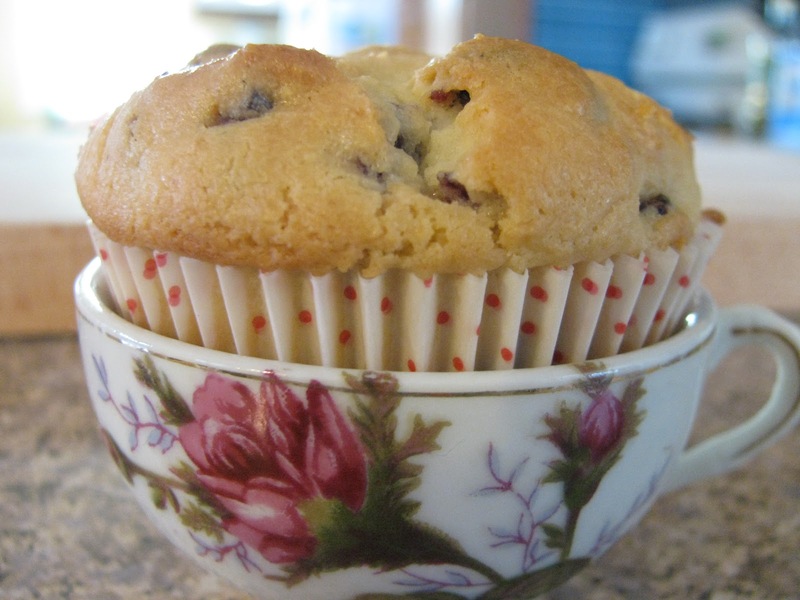 Feels like a Muffin kinda day…. This weekend when my son was home from college. We talked about food, he has a love for culinary as well. I asked him what he misses most and he expressed that he misses Chinese food. We love Chinese food, I will be visiting my niece this coming weekend she lives in Philadelphia so I will certainly take advantage of visiting Chinatown to stock up on some ingredients. When I can master some good gluten free Chinese dishes you bet you’ll see them up here. As for the rest of our conversation I told him I wanted make some gluten free muffins and he expressed his interest in different flavors. As I pondered them, this is what I came up with for the basic recipe, you can add to it as I did with different toppings to make it your own. I hope you enjoy them! 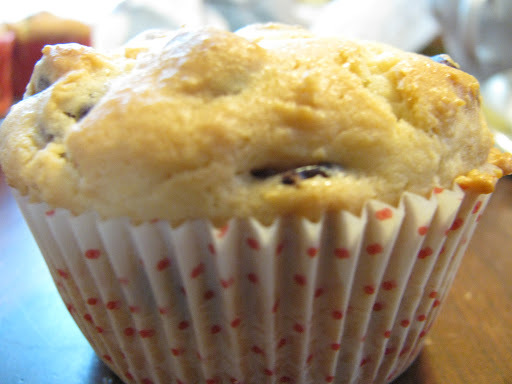 Muffins are always good any time of year but especially on a cold winters morning and that is what we have today our area was suppose to get an ice storm but it missed us no complaining on my part. 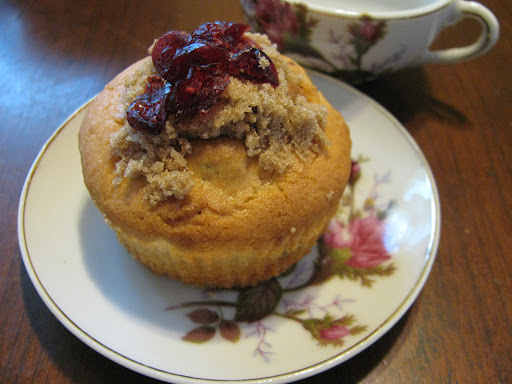 These are craisin and orange muffins. 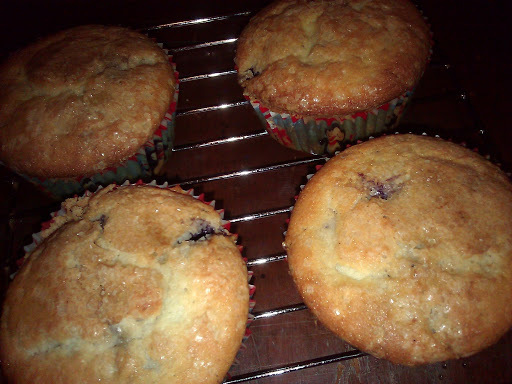 Here they are topped with extra craisins and brown sugar. 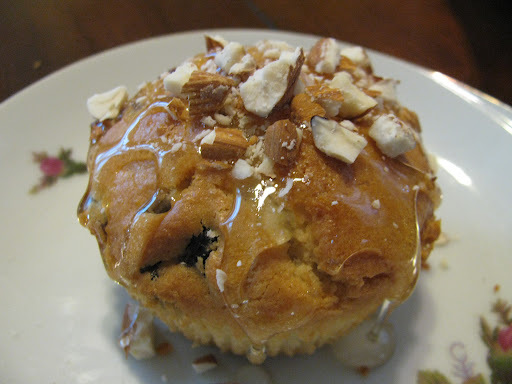 This one is topped with honey and crushed almonds.. very good. 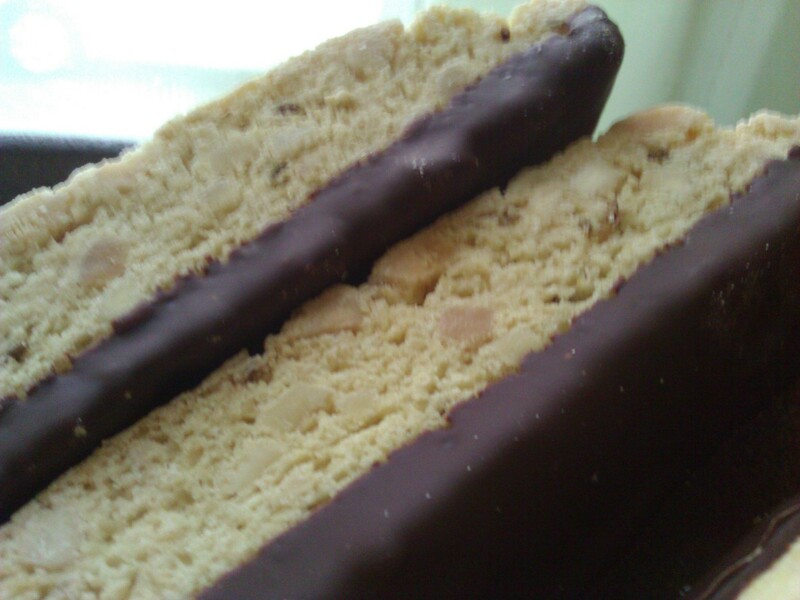 I think this is my favorite the honey just gives it that perfect combination of flavor and the almonds add some crunch. Jenna’s favorite just basic recipe plain… well actually she did suggest to me that I put some frosting on top, love that kid. 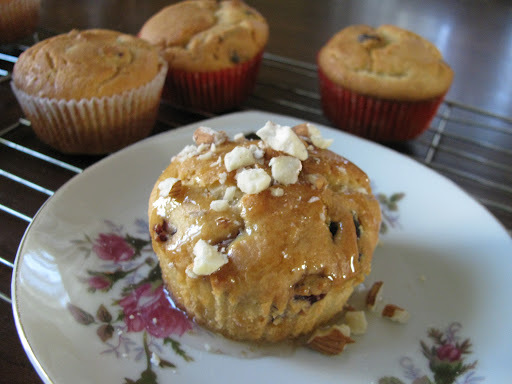 Whatever way you prefer muffins they are so yummy on a cold winter morning or anytime. Hello Pancakes Oh Have We Missed You!!!! Since my kids have been diagnosed I have every now and then tried to make a really good pancake. I have tried boxed mixes, no luck. I have tried different recipes I found on the internet..about the same results, remember that Gluten Free Face. That facial expression that looks like they have swallowed a bug and are constipated at the same time? Well that’s the looks I have gotten with my attempts for Gluten Free pancakes. That is until today, I am super excited!! What is really great is that I just kinda stumbled upon this one, well… really there are no accidents are there? You see I had some left over cake batter from my daughters cupcakes that I kept in the refrigerator. 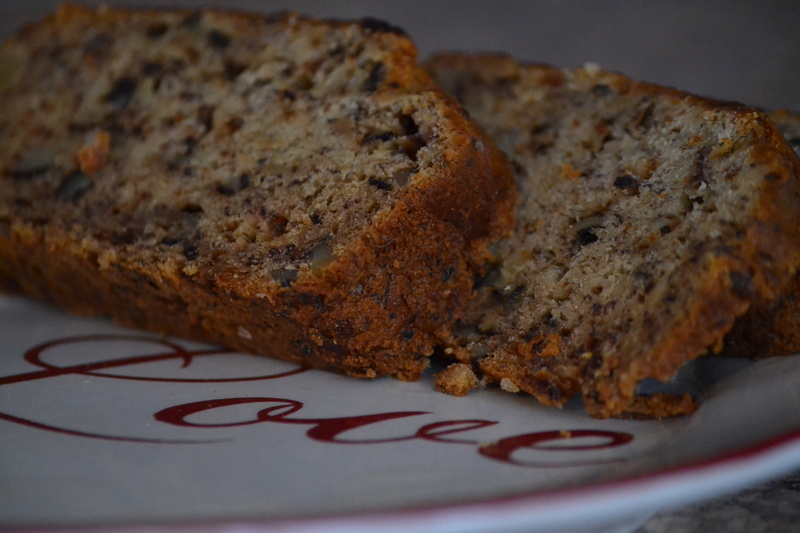 I thought I would make a small cake with it, maybe add some lemon and have lemon cake you get the idea. Anyhow then I got to thinking pancakes they are really just cakes made in a pan right? As I looked at the batter I thought this looks so much like pancake batter. So off to the stove top I went with my batter in hand. See the batter had time to thicken in the refrigerator, ah that’s the trick it just needed to sit a while and thicken up and get happy! As the skillet warmed up I put a small amount of vegetable oil in the bottom and let that heat up. Then I ladled two small amounts of the batter into the hot oil. Oh my Gosh! It looks like a pancake..as it began to cook it bubbled just like pancakes do. I am thinking to myself as I write… does anyone think that this sounds silly? But if your like me and have children that would love a good pancake and have gone without one for so long then your answer would be NO! Back to the pancake, so as it bubbled I flipped it over it was fluffy just like I remember, wow! Next would come the taste test. Oh My Gosh! 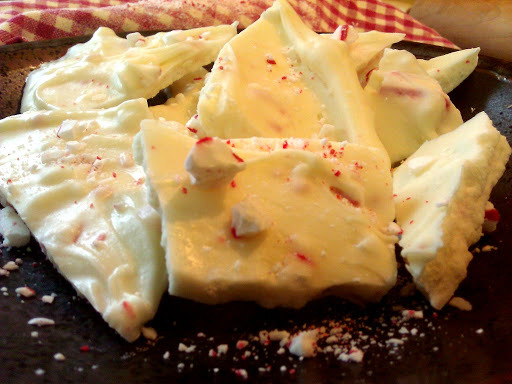 They are fluffy and have a wonderful flavor, consistency and how easy! What a great stumble upon. 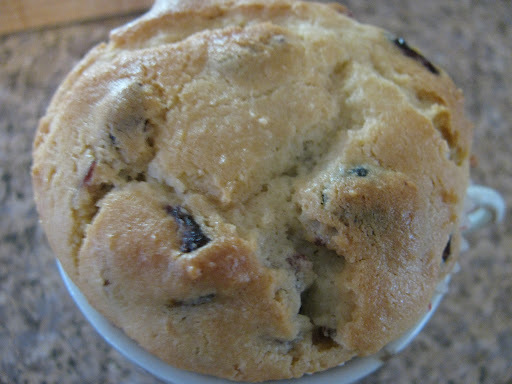 So my thoughts now, next time you are making a cake just whip up some extra batter and keep it to the side refrigerate over night and there you are good for breakfast in the morning! 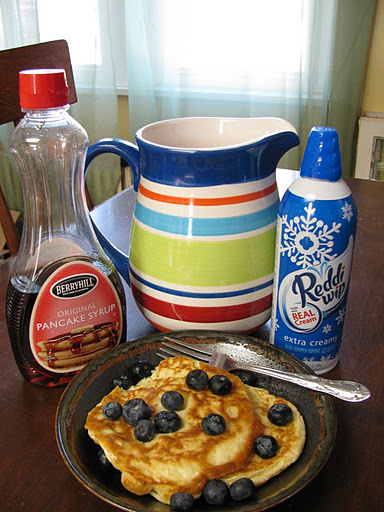 Here is what you will need if you want to try the pancakes. Mix all dry ingredients and set to the side. After that mix all wet ingredients and slowly add a little at a time, to the dry ingredients. Let set over night in your refrigerator. And in the morning you’ll have pancake batter, re-stir before pouring into the skillet.